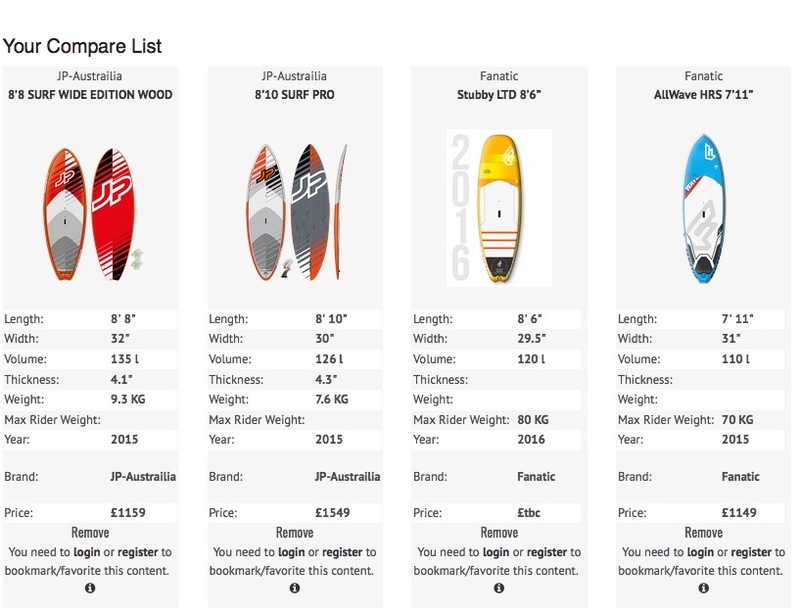 The SUPboarder Equipment Guide is a fantastic new tool to help you SEARCH, COMPARE and FIND your perfect SUP board. Check out the Equipment Guide here. There are a huge number of boards available to stand up paddle boarders today, spanning multiple disciplines, sizes, shapes and constructions. Knowing what you should buy can be a difficult decision. 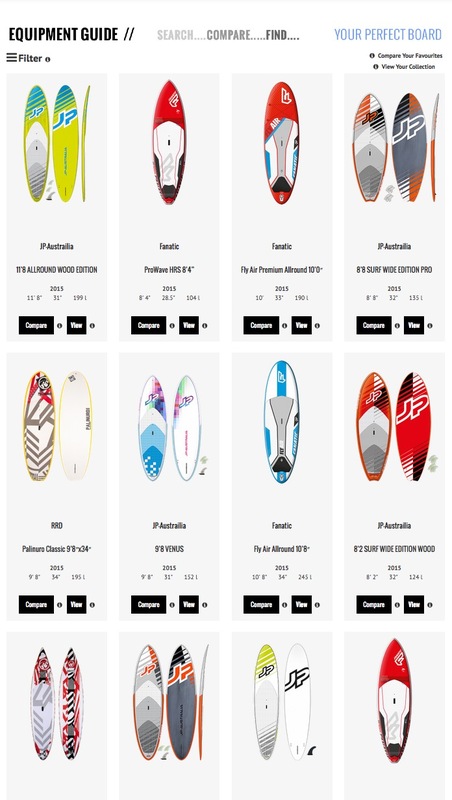 To help you get the best out of your stand up paddle boarding, SUPboardermag.com has created a system to allow you to view all the stand up paddle boards on the market in one place, search products that meet your needs, compare your favourites side by side and add them to your personal collections in your SUPboarder user profile! Check out the Equipment Guide here and check out some of its functions below. You can filter boards by discipline, size, price or any other element of their design before looking at the detailed product information. Add your favourites to your Compare List where you can review your favourites side by side, comparing shapes, dimensions and price. 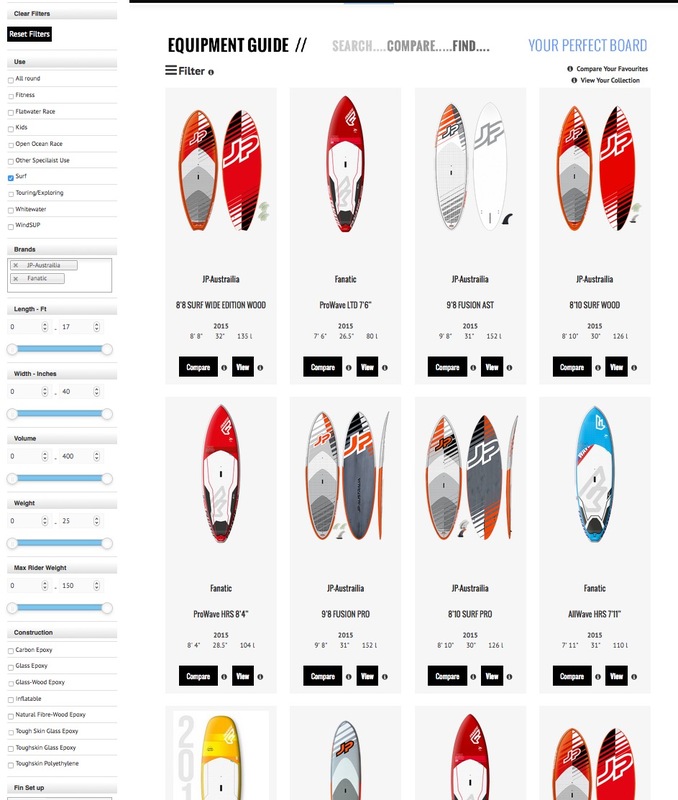 There is even the ability to register for a SUPboarder profile and create your own Collections such as your ‘Wish list of SUPs to own’, view and edit these in your personal profile. The Equipment Guide will be constantly growing in size with more equipment being added every day. If you would like to see / or have a SUP brand to add to the guide please contact us at info@supboardermag.com. Check out the Equipment Guide here and find YOUR perfect SUP!